Bypass airflow from underneath server racks that are on levelling feet or castors is often overlooked as part of an airflow management strategy. 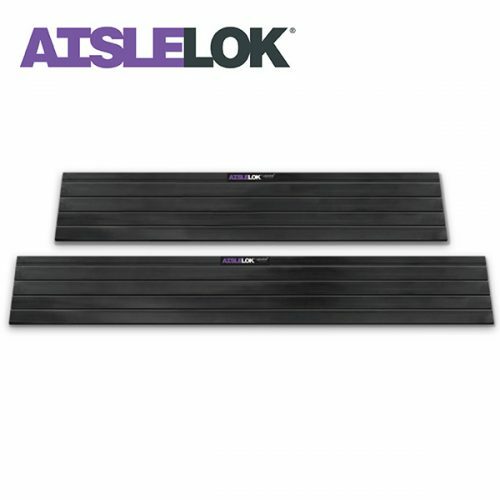 AisleLok under rack panels are designed to seal openings on new and existing raised server racks. Them are two AisleLok under rack panels one that attaches magnetically making it easy to apply and remove and the original AisleLok which sticks to the base of the server cabinet. Both effectively block bypass airflow and can help maximise the cooling system’s efficiency. Within the AisleLok product range there is also a modular aisle containment solutions that can be self-installed straight from the box in minutes. AisleLok products follow the 4R’s of airflow management, which advises on managing airflow at raised floor, rack, row and room levels, and how doing so helps enable optimisation of cooling systems.